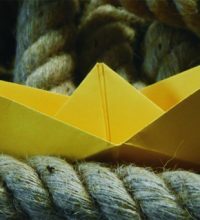 Adrift is an exhibition bringing two artists from two cultures together in visual discussion on what it means to be unanchored. Tan Yifeng born in China and Denise Keele-bedford of Celtic heritage express in a light-hearted way the seriousness of being without a base, to be unmoored and floating aimlessly in hope. To dream of utopia or perhaps to simply hope to live in a stable environment. The history of Australia is that we were all once boat people; whether by choice, penalisation or desperation; humans endeavouring to find their place to call home. To be set adrift in a floating vessel, symbolically represents a journey, a crossing, adventure and exploration. 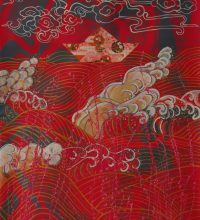 The boat used as a figurative symbol within visions indicates a means of travel within the spiritual world, but occasionally people feel as though they are actually being transported in a boat. 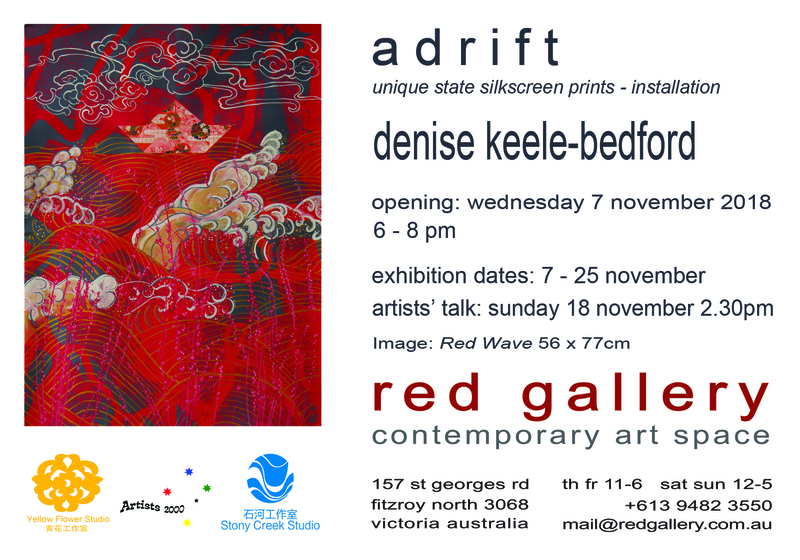 Be it literal or figurative Tan Yifeng and Denise Keele-bedford’s artworks in Adrift open opportunities for discussion and appreciation of the journey. In conjunction with the exhibition Adrift Denise Keele-bedford’s installation A Gold Boat for a Gold Coin invites visitors to take a Golden Boat in exchange for a Gold Coin placed in the collection box. Money raised from the exchange, at the completion of the exhibition, will be donation to the Uniting Lentara, Vic.Tas Asylum Seeker Project (ASP). The ASP supports the most vulnerable people who are seeking asylum in the community. Due to their legal status, many asylum seekers are unable to work, or access any forms of welfare provided by the Australian Government. Many have nowhere to live, as they are unable to apply for mainstream homeless accommodation or public housing programs, falling outside the homelessness support system. These people have to rely on the charity of non-government organisations like Lentara Uniting Care for assistance.